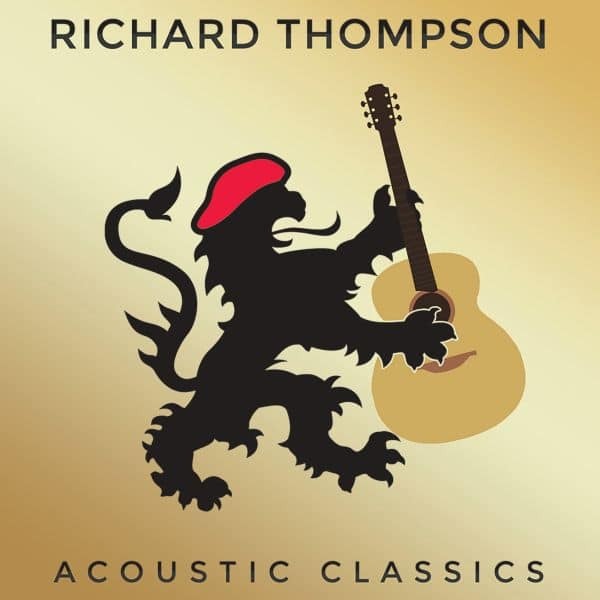 UK veteran Richard Thompson’s previous Buddy Miller-produced release was entitled Electric, so this oppositely named follow-up provides the unplugged response. But instead of new material, Thompson raids his existing bulging catalog to rearrange earlier tunes, adding a few obscurities, for solo acoustic guitar. Anyone who has watched Thompson hush a crowd with only his unamplified guitar and voice knows that his jaw dropping virtuosity is just as impressive, arguably more so, in that format. You have to look closely to see that there isn’t another person on stage when he lets loose with a flurry of runs that seems impossible for only two hands to accomplish. That talent easily translates to this self-released set of 14 tracks. It’s an hour of prime unaccompanied Thompson that finds him running through some of his better known tunes by generally staying true to the original arrangements – this is no Bob Dylan at Budokan set of radical reinterpretations — and stripping the instrumentation down. Some selections don’t vary much from the initial recorded ones – “1952 Vincent Black Lightning,” “Down Where the Drunkards Roll,” “Beeswing” and “One Door Opens” were already acoustic performances – but these updated versions bring a newfound fire and/or subtlety. Yet others such as the more upbeat “Valerie,” “When the Spell is Broken,” “Wall of Death” and “Shoot Out the Lights” reflect a sublime power and presence in these starker performances. A few are no longer in print, so this is also a way for Thompson to reclaim songs that might have faded into obscurity. There aren’t any obvious overdubs to distract the listener from the one voice/one guitar methodology and Thompson is in top form as he spins through catalog highlights with all the intensity and punch you would expect from this journeyman. Established fans will appreciate the trip back in time and perhaps acquire new respect for the more obscure tracks such as “Persuasion.” But those new to Richard Thompson are just as likely to relish these terrific songs played and sung by a master still at the top of his game and wise enough to realize he actually can improve on the originals.